Do you have dry skin? Oily skin? Somewhere in-between? 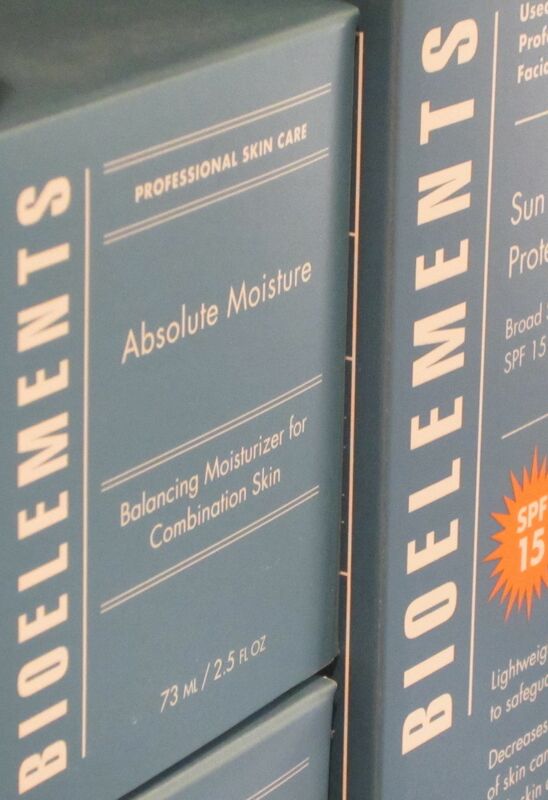 Bioelements® makes it easy to find the professional skin care you need for your skin type. Want to get rid of dark circles under your eyes? In need of a wrinkle creme that works? Looking for an effective acne skin care treatment to zap breakouts? Rebecca uses and recommends these highly individualized formulas to treat the skin, target complexion concerns and discourage skin aging. Unlike ordinary skin care, each Bioelements® product is a professionally created treatment designed to make a major difference in the appearance of your skin. Bioelements® was created by an esthetician with guidance by a PhD in Pharmacology. Ensuring every product has the most effective ingredients available, the Bioelements® "BioTypes" system was developed to easily guide clients in determining their skin type and the proper products to use for their skin type. Targeting each person's particular skin type and needs, each person can find the right product for their skin type. Bioelements® products are created to be custom blended with ingredients including organic botanicals, cosmeceuticals and aromatherapist oils. Products are pure and contain no artificial colorants or synthetic fragrance. All formulations are performance tested by estheticians at the Bioelements® Learning Center. Rebecca's Day Spa has the Bioelements® Skin Care Product your skin needs right now – the daily products you need for clear skin including facial cleansers, moisturizers, sunscreens, and overnight rejuvenation products. Formulated with natural clay to wash away makeup, dirt and dead surface cells to minimize pores from clogging. This creamy texture cleanser leaves the skin feeling clean, calm and toned. Oil-free makeup remover is a natural blend of flower water laced with herbal extracts. Quickly and efficiently dissolves eye makeup. Gentle to delicate eye area and lashes. Safe for contact lens wearers. Gentle Creme Eye Makeup Remover - Extra gentle, creme-based eye makeup remover for sensitive eyes. Sensitive Skin Cleanser - Complexion-calming oils cleanse without irritating skin. Water activated oil that converts to gentle foam. Melts away makeup, pollutants and excess sebum without any irritating side effects. Calmitude Sensitive Skin Moisturizer - Hydrates and smoothes with desensitizing extracts. An ultra-gentle formula tested to be irritation-free and safe enough to use on even the most sensitive of skins. FLASH FOAM CLEANSER - (also avail. in travel size) Advanced enzyme cleanser that gently exfoliates skin Provides cleansing and mild exfoliation in a single step. Smoothes and refines skin texture and is ideal for all Biotypes and skin conditions. Acts as an exfoliating ‘booster’ reinforcing the effectiveness of weekly exfoliation. Contains fresh citrus aromatherapist oils and a unique air-pump packaging produces a rich, frothy foam that feels like silk when massaged onto the skin. Light, rinse-off cleansing lotion gently cleans skin without stripping natural oils. Bioelements Moisture Positive cleanser leave skin feeling balanced and refreshed. Lathering gel that thoroughly foams away pore-clogging dirt, makeup and excess oils. A deep foaming action, oil-free herbal formula, pH balanced, gentle to skin yet very effective, no artificial colorants, synthetic fragrance or animal by-products. The perfect alternative to soap and water, this Bioelements soap-free lathering bar leaves your skin feeling sparkly clean and balanced. Comes with Bioelements Facial Sponge. Gentle brush for facial cleansing. Durable, hygenic bristles gently loosen dead skin cells and debris for professional cleansing results. Contains organic emollients with plant nutrients to hydrate and moisturize away visible dullness and wrinkles. Instantly locks in hydration and revitalizes the skin leaving it smoothe and youthful looking. Cream restores skin's protective barrier while protecting against indoor environmental assaults such as humidity, heat, and re-circulated air. Contains lutein extracted from marigold petals to filter out the potentially skin-aging effects of blue rays emitted from artificial lighting. This antioxidant moisturizer keeps skin moisturized while it shields the skin from environmental factors that cause dehydration, dullness, and surface wrinkles. An ultra-emollient cream that is non-greasy to replenish moisture for very dry skin. Very emollent creme sinks in quickly to relieve dryness and reduce surface lines. Leaves skin smooth and soft and sleek. Can be worn daily over a Protector, or at night. The self-adjusting hydrators in this lightweight creme work to even out your combination skin's moisture balance. Absorbs quickly and completely. Use daily over a Protector or a night. 100% oil-free hydrating gel acts like a second skin to prevent moisture loss. Its light, non-greasy texture won't clog pores or cause breakouts. Use day and night to maintain your skin's water-to-oil balance. Want visibly firmer, younger-looking skin? Discover needle-free, laser-less, skin tightening serum. Reverse the signs of normal aging, sun exposure and other environmental effects from chin-to-chest. Start repairing these visible problems with this non-greasy, moisturizing formula fueled with potent anti-wrinkle peptides. A breakthrough cosmeceutical formula, Bioelements Probotix creates an environment within the skin that allows it to regain its natural microflora balance and become more age-resistant. Advanced blend contains probioitc actives (bifidus cell compounds) immersed in nourishing milk proteins to help strengthen skin, enabling it to resist aging at every stage - from early to mature. Soothing liposome complex slows down invisible signs of aging as it replenishes your skin, encouraging it to "breathe." Gives skin a younger, less lined appearance. Replaces lost lipids to restore the skin's moisture barrier. 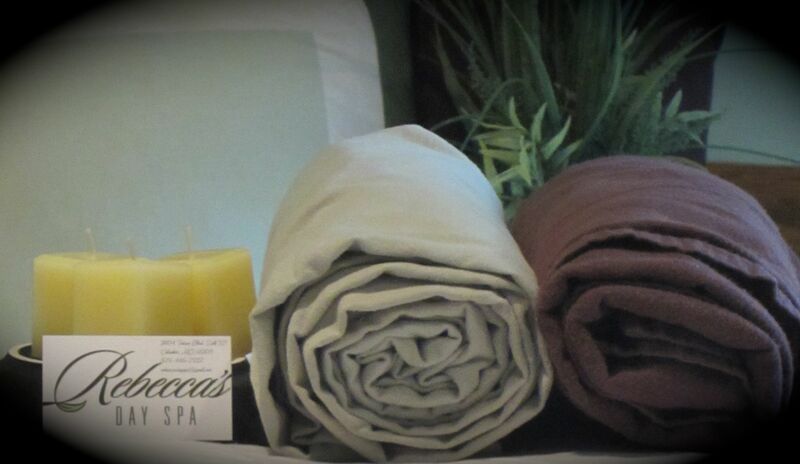 Absorbs quickly, giving your skin an unbelievable smooth, silky feel. Provides the perfect base for flawless makeup applications. Formulated with potent natural C extract and five detoxifying trace minerals and a blend of skin-smoothing essential oils to help the skin naturally repair itself. This double dose of natual and cosmeceutical C intertwined with minerals helps ward off unwanted toxins that cause dullness and aging. Oxygenation creme supplies a boost of essential oxygen to the skin by releasing and diffusing oxygen directly into the skin's surface layers. Helps strengthen the skin's barrier layer around the eye area to soften the appearance of fine lines and wrinkles. Natural blend of organic plants and essential oils smoothes the texture and relieves dryness while promoting a healthy looking glow. Oil-free gel to smooth away fine lines and wrinkles, minimizes puffiness. Moisture-rich overnight rejuvenation creme that decreases wrinkle length and depth. This formula includes non-invasive hyaluronic acid fillers to reduce wrinkles, tissue-toning biopeptides to firm, and skin-strengthening topical calcium. These advanced actives repair deep repetitive motion wrinkles (crowsfeet), smooth out fine surface lines and firm fragile skin as you sleep. Advanced eye cream with Alphablend, a corrective mixture of natural fruit acids. Combats dry lines as it lubricates, smoothing texture and reducing the appearance of dark circles. Natural pigments actually float over skin, brightening the eye area. Power-packed formula for eyes firms, reduces dark circles, de-puffs and moisturizes. Use with Multi-Task Eye Oil for maximum results. Formulated with high tech ingredients to nourish, lubricate, smooth and soften skin around the eyes. Use with Multi-Task Eye Creme for maximum results. Provides rapid moisture to dehydrated skin. Hyaluronic acid formula boosts the efficiency of the moisturizer as it safeguards the skin's delicate water-to-oil balance. Skin is left hydrated and comfortable. Vitamins A ,C, D and E help protect your skin from damaging smoke and pollution, while aromatherapy oils and hydrators keep it smooth, sleek and firm. Especially effective around the eyes. Calming extract of cornflower and licorice root gently soothe and moisturize your sensitive skin, leaving it smooth and comfortable. Light, hydrating lotion contains 2.5% benzoyl peroxide to "zap" existing blemishes, prevent future breakouts and promote fast healing. Helps maintain skin clarity as it brightens skin tone. Works to discourage dullness and improve color as it smoothes and moisturizes. You'll see younger, brighter, clearer skin in weeks. Contains exfoliating sugar cane crystals that sweep away dead, peeling skin, reduce lines and promote natural healthy color. Special lubricators in a stick relieve dryness on lips. Contains non-paba sunscreen. Use under lipstick and concealers for smoothe application. An alcohol-free spritz of herbal extract to hydrate just-cleansed skin, preparing it for moisturizer. Can be used alone or add one of the following boosters to change the action: REV-UP or CALM DOWN. Saturate your skin with Bioelements Power Peptide prior to applying day or night moisture. This will signal the skin to increase moisture and absorb key anti-aging ingredients from the moisturizer. Skin will feel hydrated and revitalized, with a youthful and radiant glow. Preps the skin for shaving. Lifts off dirt, grime and excess oil. Contains jojoba-filled grains to scruff away dead flakes. Helps prevent troublesome ingrown hairs. Suitable for all skin and beard types. This nick resistant formula reduces risk of razor burn and irritation. Leaves the skin feeling comfortable and smooth. Works great on all beard types form light to heavy. Non-greasy moisture serum, takes the sting out of shaving. Contains oil absorbers, power packed with healing herbs.